For anyone with Irish ancestors, tracing a family tree is never an easy or straight forward task. There are many reasons for this. 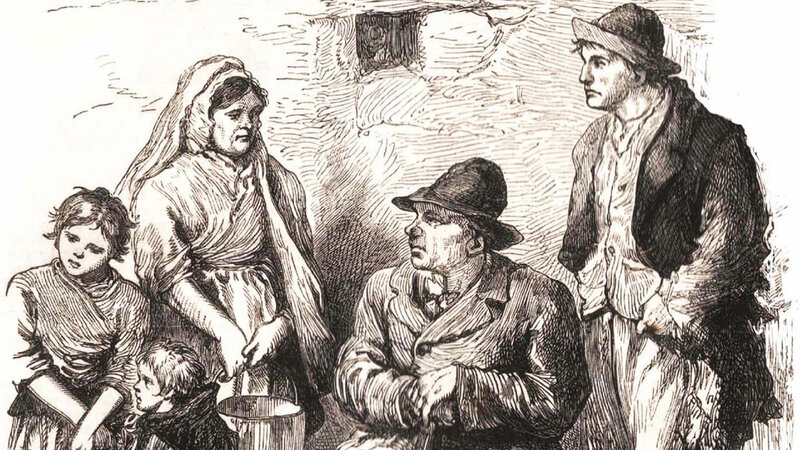 Ireland's complex and troubled past resulted in a very scattered and incomplete set of records. Unlike many other European countries which have managed to retain civil and religious records vital for tracing from one generation to the next, researchers in Ireland have to rely on diverse and often incomplete records which, as in the case of the Catholic registries, only go back to the end of the relaxation of the penal laws that prevented Catholic worship and Congregation . For this reason, family tree research in Ireland is something akin to detective work. Having a good knowledge of the sources available is essential to improve the chances of a successful search. The Genealogy Department of Co. Kildare Library & Arts Service provides a Genealogical Research Service for people whose ancestors originated in Co. Kildare. 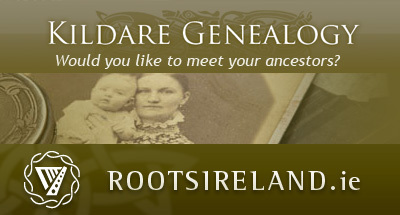 The service has been for many years a valuable asset to those searching for their ancestry in the county and has featured in the US “Who do you think you are?” programme featuring Rosie O'Donnell, whose Naas roots were researched for the program by Mario Corrigan, James Durney and Karel Kiely (See video below). Karel has been the genealogist with the Genealogy Department since it's inception and holds a vast knowledge and expertise in the county's genealogical sources. The main genealogical sources employed in the research include church records of various denominations, civil records of birth, deaths and marriages, property valuation records and the 1901 and 1911 household census returns. Ancillary sources include maps, gravestone inscriptions, cemetery records, newspapers, trade directories, local histories and publications. Success cannot be guaranteed in any search and an unsuccessful search is often more time consuming than a successful one. An assessment can be undertaken for a fee of 45.00 Euro. Mario Corrigan, James Durney and Karel Kiely have also published a guide called Tracing Your Kildare Ancestors. The publication is a comprehensive guide to all of the records available for tracing families in the county and is filled with information on what the records contain, and how and where they can be accessed. These record sources include websites, birth, death and marriage records, public records, books, journals and manuscripts. County Kildare had a diverse population including farmers, soldiers, bog workers, canal boatmen and horsemen. The county has had a long association with the military including the Curragh camp, Ireland's largest military complex. It is also the centre of the Irish equine industry and is one of the richest counties outside of Dublin. Large estates, military barracks, stud farms and horse racing establishments still feature in the county. Common names in the county included Byrne, O'Toole, Cullen, Dowling, Dunne, Nolan, Lawlor, Farrell, McKelly, Birmingham, Sutton, FItzgerald, Eustace, OKelly, Murphy, Doyle, Walsh, Dowling, Connor, Neill, Brennan, Moore and Kavanagh. The publication is also well illustrated with maps of the various administrative divisions; with examples of the types of records to be found; and with other relevant material. It also provides background on the social history of the counties and how this history has affected the keeping and survival of records. The book also contains a comprehensive index. Retail: €13.00 160 pages; 227 x 145 mm; paperback; indexed; b/w illustrations. Karel Kiely has run the County Kildare genealogy service for over twenty-three years. A native of Newbridge, Co. Kildare, she is a graduate of both Trinity College and Maynooth University, where she completed her M.A. in Local History in 1994. 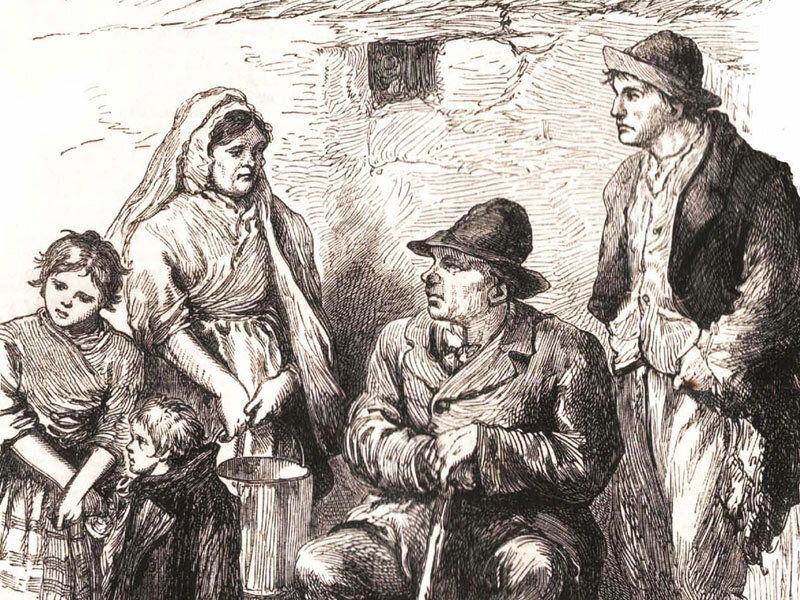 Her minor thesis on Naas Workhouse during the Famine reflects her interest in Irish social history and the Great Famine period. She has been the secretary of the Irish Family History Foundation since 2006 and the manager of its website www.rootsireland.ie, since 2007. She has contributed articles to various publications over the years and currently edits Clann, the newsletter of the Irish Family History Foundation. Mario Corrigan is the Executive Librarian in charge of Kildare Collections and Research Services for Kildare Library & Arts Services. 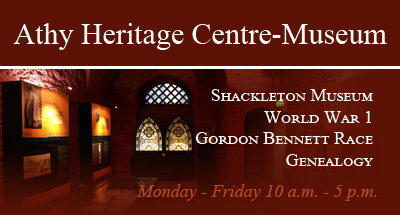 He has professional qualifications in History and Library & Information Science from University College, Dublin. He has written, edited and compiled many books, booklets and articles relating to County Kildare including ‘Hearth and Home: A history of social housing in Kildare Town 1889-2009’ with James Durney and Joseph Connelly which won the Nilsson Local Heritage Publishing Award in Listowel Writer's Week in 2013. 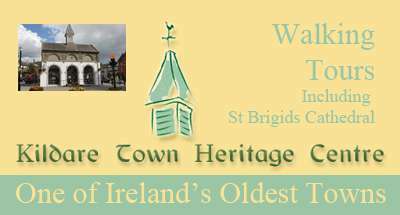 Mario has taught introductory genealogy courses as well as delivering many presentations, talks and walks on Kildare history and heritage. James Durney is the Co.Kildare Historian in residence for the Decade of Commemorations, working in collaboration with the Local Studies and Genealogy Department of Kildare Library & Arts Services. He is the author over twelve books on local and Irish history and has written extensively on the history of his native County Kildare, and on Irish history in general. James has worked on several TV projects for RTE and TG4 as a researcher and two of his books have been the basis of TV documentaries – ‘Mobs Mheirica’ and ‘War Stories – Korea.’ His essay ‘From defiance to defeat: the Curragh internees 1916-24,’ won the 2011 Lord Walter Fitzgerald Literary Award for Original Research. Heart and Home: A history of social housing in Kildare Town 1881-2012 (2012) won 1st Prize for the Nilson Heritage Award at the Listowel Writer’s Festival 2013. He is Chairman of the Co. Kildare Federation of Local History Groups; Chairman of Naas Local History Group; and a Committee member of the Co. Kildare Archaeological Society. His latest book is Foremost and Ready - Kildare and the 1916 Rising. Video excerpt of the US “Who do you think you are?” programme featuring Rosie O'Donnell, whose Naas roots were researched for the program by Mario Corrigan, James Durney and Karel Kiely.